Due to a serendipitous alignment of schedules and events I got to spend some time in the world of my brother Bob this week. Technically I got to spend some time in a place where my world and my brother Bob’s world intersect. Bob Franzosa is a professor of mathematics at the University of Maine in Orono. His specialty is in topology. This past week he was in Boston attending the largest annual mathematics meeting in the world held at the Hynes Convention center. As I am currently “between assignments” I had the time available to join him there. On Wednesday I attended the talk he gave on his lifetime passion “The Baseball Simulator” which was born as a dice game he created in the 1960’s and grew into an interesting tool to evaluate baseball using minimal statistics. Yesterday I sat in with him on a session dedicated to puzzles. 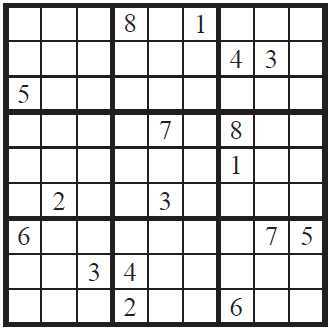 While the relevance of the orthoganality of Magic Sudoku puzzles was a bit lost on me, the discussions on the construction and solving of puzzles was right up my alley….and the excitement over the potential proof of the 17-clue minimum for sudoku was great. Sometimes the dice of the universe give you a critical miss but it is ok because you find that the next roll yields something even better. This was the talk given by Dan Katz? He is an acquaintance of mine, both of us in the National Puzzlers League and do the MIT Mystery Hunt (which is next weekend) and such too. I didn’t see his name there. One of these years I’ll get myself on a team for the Puzzle Hunt…..